This book was published a month ago. 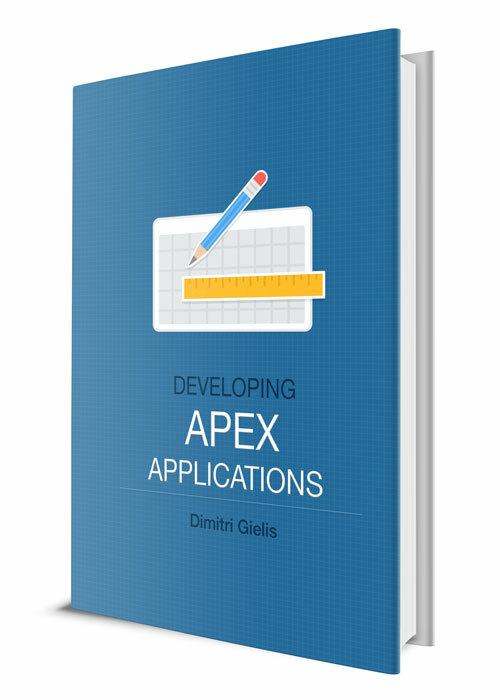 I was one of the reviewers and believe it's a nice collection of best practices that are now used in the APEX community. One of my favourite chapters in the book is chapter 2 "Leveraging the Database". It's not 100% APEX as such, but if you know how to write your queries (by understanding analytical functions, rollup, pipelined functions, etc.) 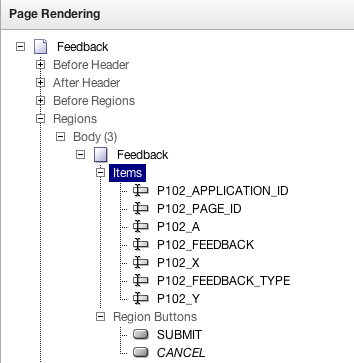 you can get so much more out of your (interactive) reports in APEX. This book is almost a year old, but it's still a great resource if you want to build Oracle APEX plugins. Martin explains very well the different plugin types and shows how to create them. I like the way he wrote the book as he also explains the business need for the different plugins. More than a year old, but still a great source as so many different authors wrote about their expertise, so you get a big variety of topics. The royalties of the book also go to a good cause. 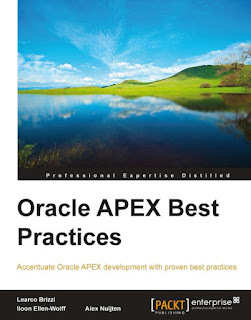 There are many other Oracle APEX books out there; from beginner to advanced. Update: Packt is pleased to announce a special eBook offer – stock your reader this Christmas! During this celebration, you can buy two or more Packt eBook's of your choice for just $5. 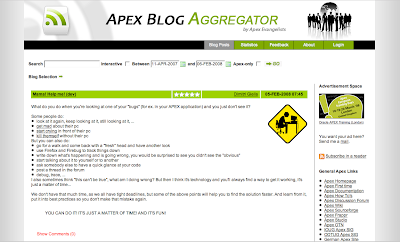 Oracle Application Express (APEX) matured over the last 8 years and people blogging and using APEX grow exponentially. In my personal life things changed as well; I co-founded APEX Evangelists, a company 100% focussed on Oracle Application Express (development, consulting, training). I became a father of a great boy and a wonderful daughter and, despite my long working hours and many travelling, my wife and I are still married and enjoying our time together. It has always be my dream to bring the whole APEX community together so we share our passion and experience. And I think the APEX community is doing great; from the first APEX Meet-up at Oracle Open World in 2006 where we started with about 10 people till the recent one of a few weeks ago where we were with over 100 people, over the many conferences, especially ODTUG where APEX is huge. 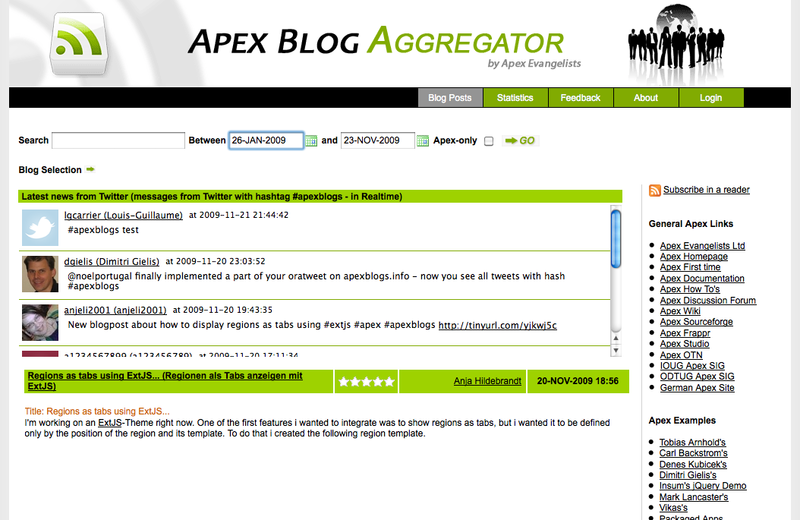 I build APEXBlogs to promote APEX and as a platform to share our knowledge (or even to become "the" APEX Portal). 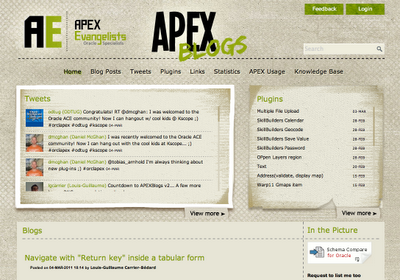 and a place to see all blogs that write about APEX or APEX related content. It also acted as a public showcase application of an APEX application. 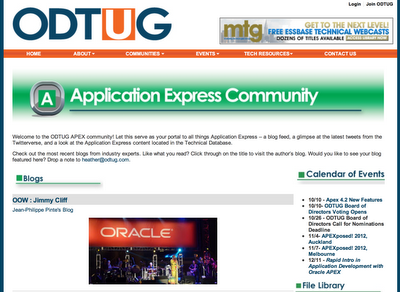 After more than 4,5 years APEXBlogs will move under the umbrella of a the Oracle user group ODTUG. I believe there should be one Global APEX User Group in the world which has "the" conference and "the" platform where you find everything you need as an APEX developer. Don't get me wrong, I still think having local user groups is very useful too and the official Oracle sites (OTN, apex.oracle.com) are a must visit for every person! But as things start to expand so much, it's good that an organisation follows-up what is going on everywhere, and who's better than ODTUG to do this? Now that the Oracle Cloud is publicly available, I want to show you what it takes to put your APEX application on there. As an example I will use the application "DGTournament" that I created in 2006 to promote APEX and upgraded every two years to the latest version of APEX. I thought this would be a good app to use as there's some legacy code in, but it also contains many new features that came with every release of APEX. 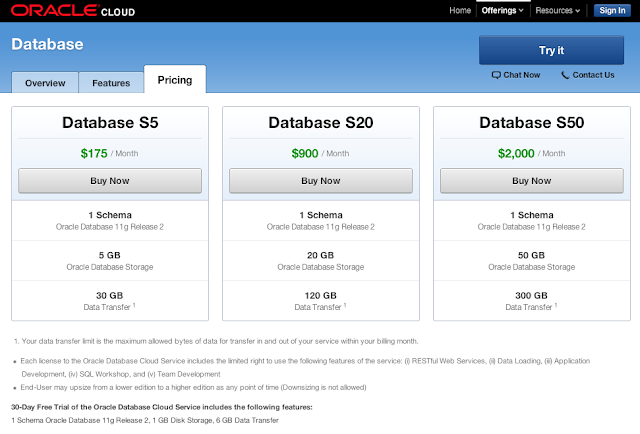 Next to that you might actually have played with it, the app/site is still live and we can also do a side-by-side comparison of Amazon EC2 vs Oracle Cloud. In this first post I want to take my current application with all it's data and move that onto the Oracle Cloud. You can apply for an account on this link and you will receive some emails when you are ready to go as described in a previous post. Kris Rice did an excellent blog post about it. Next to that post I would definitely recommend reading the Oracle Cloud documentation as it contains important information how to connect with SFTP. You have to reset your password first, to do that you need to connect to IDM, all that is in the doc very well explained. After looking into the Oracle Cloud documentation again, it said you have to use the Cart option (which you find under the View menu) in SQL Developer. I used that before, I even asked for an enhancement request. So once everything is in the cart (and you can say you want all data for all tables as well) you can deploy to the cloud by clicking on the cloud icon (top, most left). Fill out the details of the Oracle Cloud connection and hit Apply. A few minutes later all my database objects and data were in the Oracle Cloud! I was impressed how smooth it was. The following screenshot shows the deployment overview and I expanded the tables tree of my Oracle Cloud connection so you can see everything is effectively in, even the BLOB columns and data got transferred without any issue. As I dragged the APEX application in the Cart as well, I thought I would find it in my APEX Builder, but it wasn't there, so you have to manually import your APEX application. Importing an APEX app is not a big deal, export your app from one APEX instance and import through the wizards in the other APEX instance and done. Next I just ran the application but got an error ... it would have been wonderful if everything just worked, right? 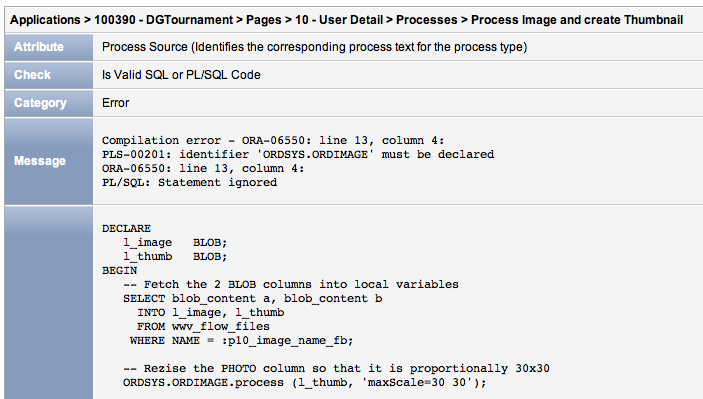 The backend was there and the app was there ... unfortunately I got an Oracle error ORA-... (see Step 6). I also had in the APEX application direct calls to my PL/SQL package, for example to show an image I used in the src attribute of the img tab: "#OWNER#.tdg_pkg_content.SHOW_IMAGE?p_image_id=#IMAGE_ID#". But as you can't give the correct grants (to APEX_PUBLIC_USER) this doesn't work either. So this basically means that all the package calls I do, that don't work, I will need to either remove or rewrite to something that does work. For example the DBMS_UTILITY package I don't really need anymore as you can get timings native in APEX today, so not necessary to calculate yourselves. The call to UTL_TCP for just the character linefeed I can remove too. UTL_SMTP is interesting... in 2006 (and later in 2008), when I wrote some part of the application, there wasn't the apex_mail package yet that supported attachments, so that is why I had to use utl_smtp and write everything myself... but even using the apex_mail package wouldn't work as sending mails from the database in general is not supported in the Oracle Cloud. So the only way to solve that issue, is to integrate with a service (for example MailChimp) that sends emails for you. And showing the images I wouldn't really code anymore using my own procedure either, as you can now use the native BLOB (image) support in APEX. So that leaves me with DBMS_OBFUSCATION_TOOLKIT which I need to replace by something else that works in the Oracle Cloud. There might be some code flying around in your application which should have been in packages (but isn't) or other components of the APEX app that are not compatible, for example some third party plugins which need some specific filesystem files and folders which you can't create in the Oracle Public Cloud. To identify the code that should be in packages and which might not be compatible I use the APEX Advisor to find those and I did! When you upload your profile picture in DGTournament I create a thumbnail on the fly with ORDSYS.ORDIMAGE... and it looks like that's something you can't use either in the Oracle Public Cloud. 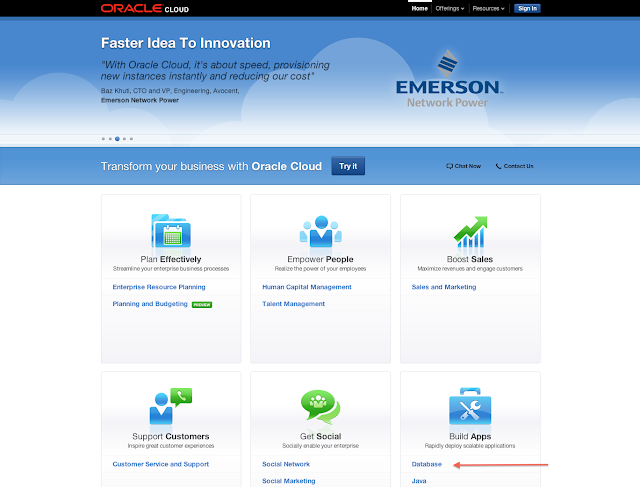 It actually remembers me of one of my conversations with the Oracle team during my beta testing; I really would love to see Intermedia and Locator support in the Oracle Cloud as many of my applications are using that... the answer was it might come in the future, but it's not available yet. In my next blog posts I will talk about other things like the performance, doing the maintenance etc. ... and my last post will be a conclusion. At Oracle Open World (OOW) Martin and I had a lot of fun integrating the Oracle Social Network (OSN) with Oracle Application Express (APEX). The Oracle Social Network is still in beta and we got only access to it during OOW (and a couple of days after to make the video). During the challenge we used the PL/SQL API which was part of the documentation (edit: I'm unsure what we got will be part of the production release, as it was Noel Portugal who build that example for the challenge. Thanks Noel!). As we have some great web service API's in APEX I immediately thought to try to use those. Unfortunately during the challenge we didn't have enough time to get things working, but straight after I discussed with Jason Straub and after he told me I didn't need to specifically set the complete headers, it was working great (Thanks Jason!). Below I try to explain the most important parts of the code. To integrate with OSN you can use RESTfull webservices. The OSN documentation is a great resource and the calls are well documented. Line 119 shows the url you need to do to post a new message. You post a message to a conversation. In the full package you can see how to create a conversation too. Line 120 shows what you have to post, basically a json string with the message. Line 121 shows the REST request; you call a url, and do a post with in the body the json string. As everything is going over https you have to have your Oracle wallet configured with the certificate. If you look at the complete osn_pkg package, the submit_osn procedure is the call we do in the video. As OSN is secured you first have to connect with a username and password. You get back a cookie and random id and you have to set that in the header of all the next calls. By using the apex_web_service package you only need to set the headers once. Next in the procedure we create a new conversation, we add more members to it so others can participate in the conversation. In the conversation we add a message and a document (screenshot) if there's one. I made the package open source on GitHub, so you can see the complete package there and you can quickly integrate with OSN from APEX. The only thing I want to ask is, if you improve it or integrate other parts of the Oracle Social Network once it launches, give your code back as well so we can use this project as a great source for the OSN and APEX community. I use my iPad a lot to read articles and books, especially when I'm offline it's very useful. You can go to the site and read the documentation in HTML or download the PDF, but you can also download the documentation in ePub format (for examples the release notes of APEX 4.2). When you click on the HTML link, the ePub link will appear for that document. I find the ePub format useful as I can read offline and set some bookmarks for certain pages. Hope you like this quick tip! 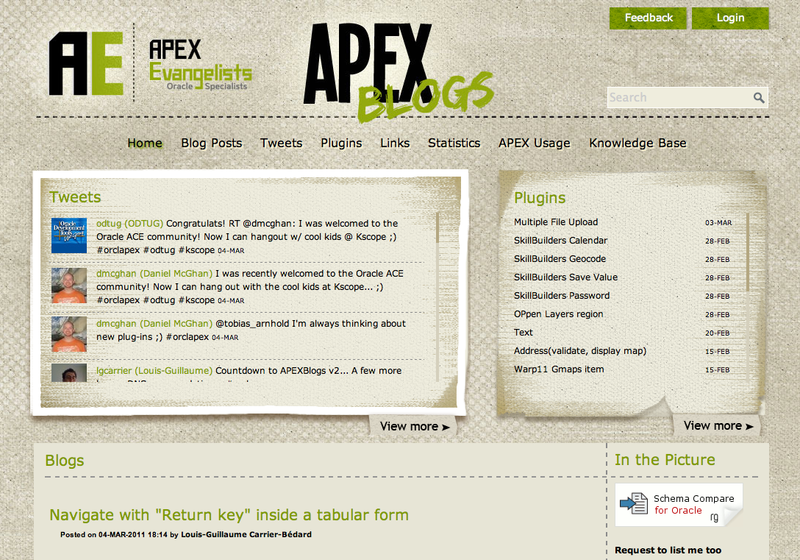 If you read my previous post about APEX 4.2 being in production you know I really like Responsive web design. So what does it take to change your current theme to a responsive theme in APEX 4.2? 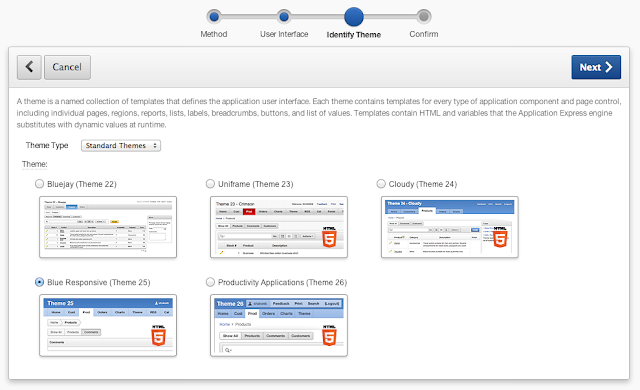 The first thing you have to do is create a new theme based on "Theme 25: Blue Responsive". Go to Shared Components > Themes and follow the wizard to create a new (Desktop) theme from the repository. Once you created the new theme you need to follow the wizard to switch your themes. Note that if you customised your current theme to include for example some custom JQuery libraries or your own css files, those won't be included in the new theme. You can always add that later. But once you switched your theme, that is about it... you have now a responsive theme and your app is using it... but here's the catch... it might not use it yet to the full extend and it might not respond as you would like it to do. The reason is your regions and page items are now making use of the new Grid Layout, but the wizard did only as good as it could, so you need to verify every page yourself and see if it looks like you want. Not really nice heh? The display only text is shifting down and the icons are not next to the items, instead they are underneath. Also the buttons seem a bit small in this design. Note that in APEX 4.2 that item got renamed to Stop and Start Grid Layout and it is even deprecated now... and that makes perfectly sense, table based layout is passé, welcome to div and css or even better HTML5 and CSS3! So first thing I would do is just get rid of those items. The next big thing is how the items are set on the grid. The wizard moved the items on Column Span 1 (so it starts on Row 1 and it takes only the first column of the grid, in total there are 12 columns in the grid). It looks like one column span is a bit small for our content, so either you make that bigger, or you put Column Span to Automatic so APEX itself figures out what to do, which I would recommend (to start with at least). If you have many items and you don't want to go into every item separately you can right click in the tree view and "Edit All" page items at once. You need to remove the one in Column Span for every item, that will set it to Automatic. To make our Feedback page a bit nicer, change the region template to "Alert Region". Edit the buttons and chose the Large Button (Hot) as the template. A few hours ago Oracle made APEX 4.2 available for download. Obviously mobile is a big topic in 4.2, but for me personally I like the integration of HTML5 and CSS3 the most. At OOW, OTN asked me about APEX 4.2 and what I liked... there are so many, but the support for Responsive web design is the "key feature" for me to create future applications in a declarative way. That interview was even done before Shakeeb's excellent presentation about Responsive Web Design and his nice video. 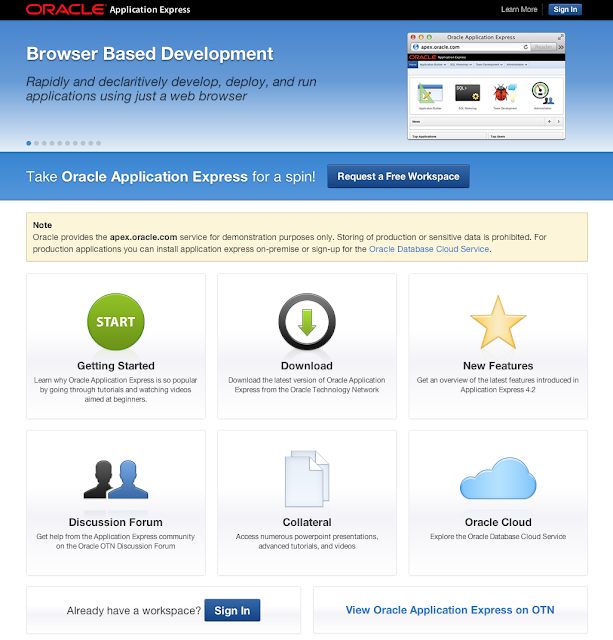 Next to release, the APEX Development team updated apex.oracle.com with a fresh new look and feel! It looks very similar to the Oracle Cloud now. I like it very much. So go and download 4.2 and start playing with it in your own environment today! A few minutes ago I received the official mail that my new Oracle Database Cloud was ready to be activated. Once I clicked the link I got to the screen to Activate the Service. Clicked on that button and I got a new mail my account was ready... and yes we are up-and-running in the Oracle Database Cloud. During last Oracle Open World (OOW) the general availability of the Oracle Cloud was announced. If you want to start to deploy your Oracle Application Express (APEX) applications in the Oracle Cloud you need to subscribe for a Database Service. Here are the steps to do so. 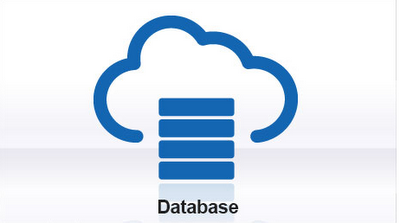 1) Go to cloud.oracle.com and click the Database link. 2) You can subscribe for a 30-day trial service before you need to pay. 4) You will also get an e-mail that confirms your trial request has been received, but that you need to wait for the activation e-mail. 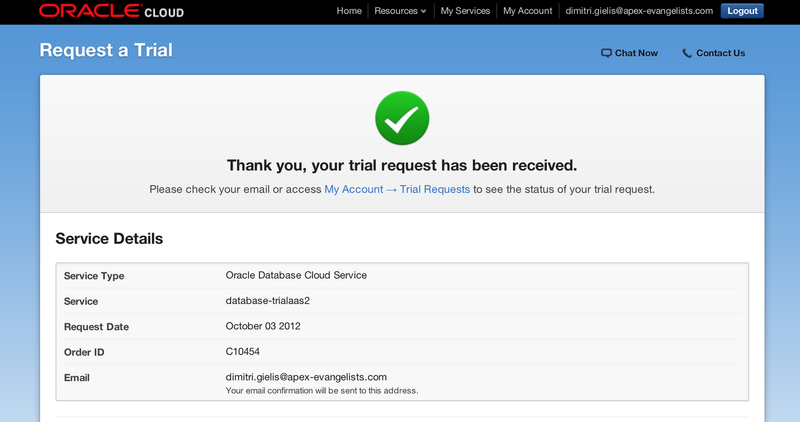 5) You can already login into your dashboard at cloud.oracle.com to get an overview of your services and trial requests. 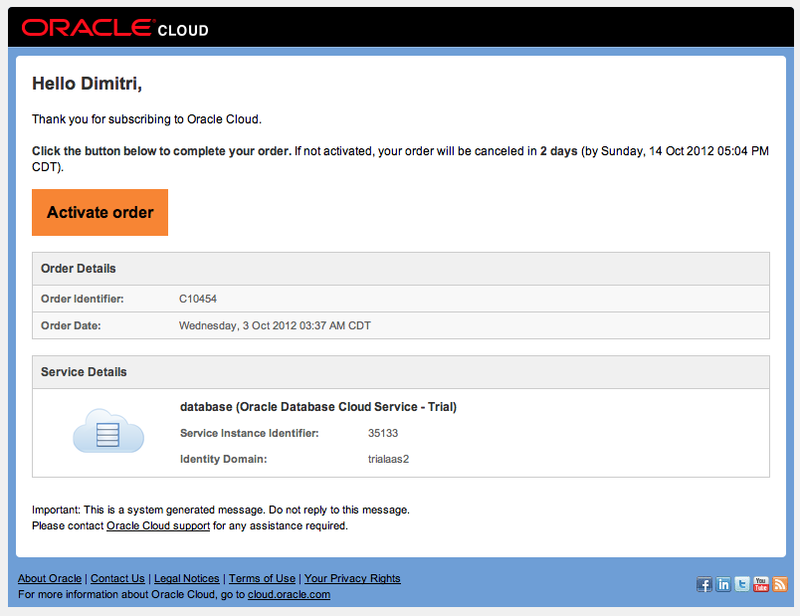 It's a week ago I subscribed for the service, but so far I didn't get an activation email yet. I was part of the beta-group the previous months to test out the database service (fully functional). Compared to that beta, the look and feel changed of the dashboard. In order what to expect once the service is activated: the APEX version in the Database Cloud is APEX 4.1.1c, a special edition of APEX 4.1.1. The closest you can get to that release yourself in your environment (on premise) is installing APEX 4.1.1 and apply the patch that comes with the Oracle Application Express APEX Listener 2.0 (EA2). That will enabled for example Restfull Webservices. In the Database Cloud you will also see the packaged applications, like you have in APEX 4.2 (as you can see on apex.oracle.com at the moment). You might think that it looks expensive, but I think for the S5 it's competitive to alternatives if you start to compare what you get. To setup such a system yourself in for example the Amazon cloud (EC2 + S3), you are looking at a high cost too, and you are responsible to keep it online. The virtual machine is the responsibility of Amazon, but you need to look at the database, APEX and the webserver yourself. I would probably go with a combination: the Oracle Cloud for production applications (if possible - see the catch further up), but keep our Amazon servers at least for development (as you probably need more than one schema). During my beta testing there was one catch... some database functionalities are turned off (for now) e.g. Locator, Spatial and outgoing network services straight from the database. That basically means that for many applications we can't use the cloud just yet as we use locator intensively and send out mails from the database too. It also remains to be seen how fast Oracle will upgrade the Oracle Cloud to APEX 4.2 once that is production. Oracle has also many other cloud services, one in particular I would be interested in: the Oracle Social Network! I had the chance to play with it (and integrate in APEX) during OOW, but I'll talk more about that in another blog post. 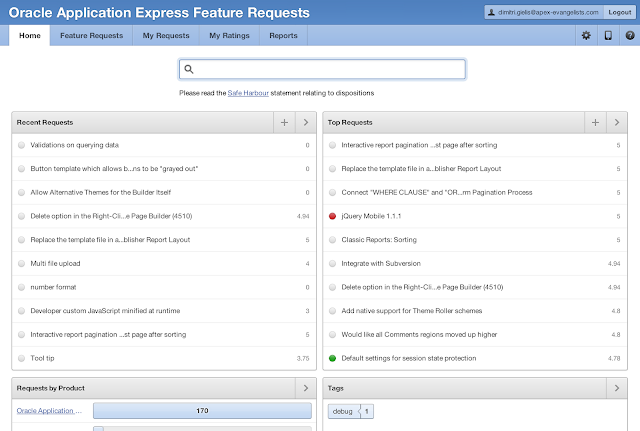 If you think "I wish APEX (Oracle Application Express) did this", you can log those things in one central place now: the Oracle Application Express Feature Requests website. 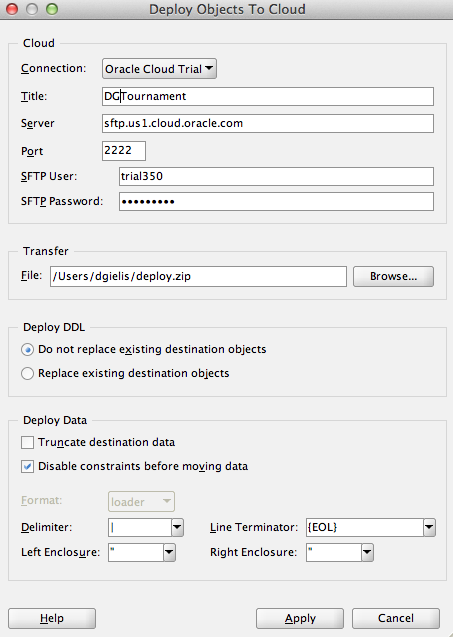 Note that you first need to login with your Oracle Single Sign-on credentials before you're able to see that app. 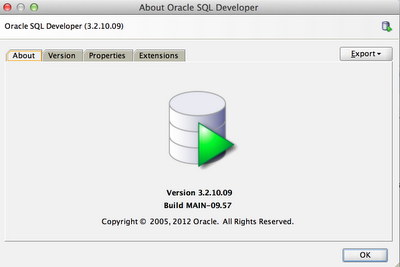 The same exists for SQL Developer (actually it existed before the APEX feature request site). 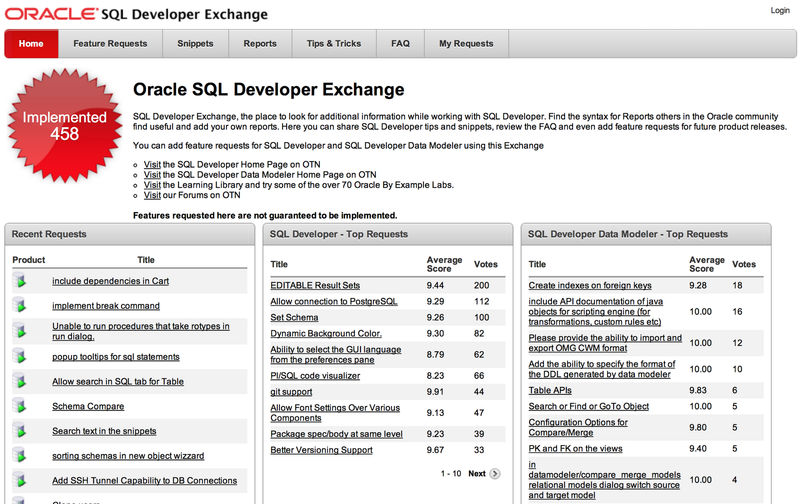 On Oracle SQL Developer Exchange you can add feature requests. 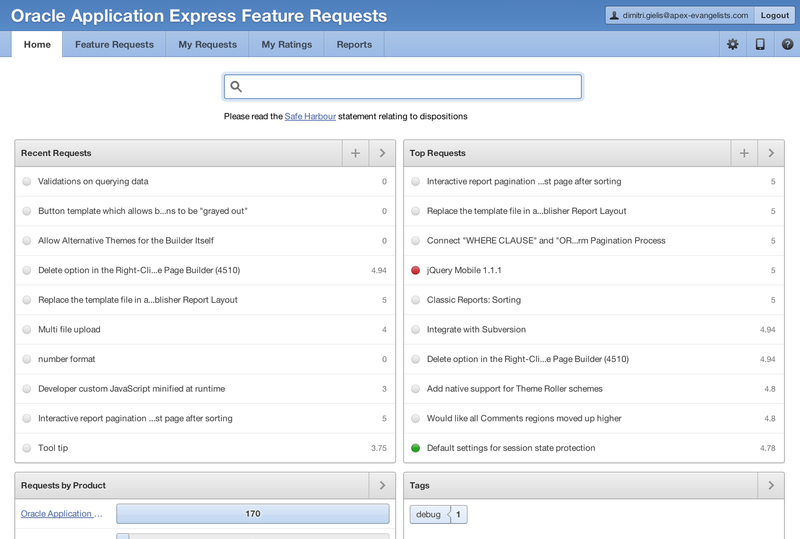 Both Oracle development teams look at those requests and will add those in the next versions of APEX. 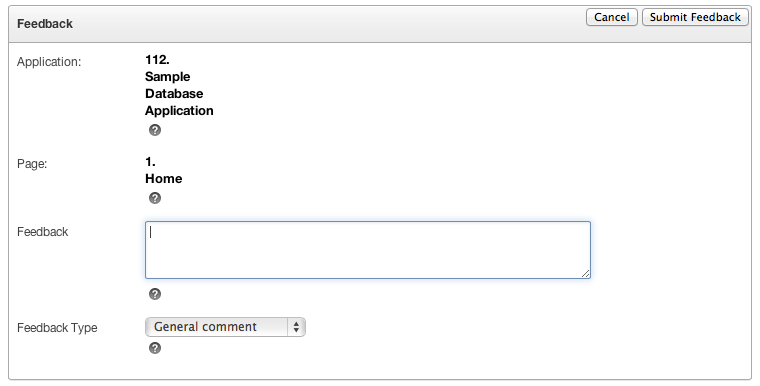 If you can't think of a feature request you'd like, you can also vote on other people's requests. The highest the vote, the higher the change the request will be included in the next release! On March 26, 2013 the Oracle Benelux User Group is organizing OBUG Connect for the 6th time in succession, and in close collaboration with Oracle and the Oracle Gebruikersclub Holland (OGh). Possibly you attended this event already in the past and you wish to present your customer case at the upcoming OBUG Connect 2013 conference. We offer you the ultimate possibility to share your personal experience with other Oracle customers within the Benelux. You can find more information here. If you can make a valuable contribution to the success of OBUG Connect 2013, please click the ‘call for presentations’ and use the online submission form to send in your presentation. Pablo send me an email a while back he uploaded the pictures and videos of the OTN LA 2012 Tour (South leg). In one of the videos you will see Francisco Muñoz Alvarez, myself and Craig Shallahamer talking about how we find the tour so far. As you could read in previous blogposts, I really enjoyed the OTN Tour in Latin America, so it was nice to reminisce about the great people and nice environment. Packt send me an email that they are celebrating the publication of its 1000th title, and they celebrate that by giving away a free ebook for everybody who already registered to www.packtpub.com, or who registers before 30th September 2012. Packt is also opening its online library for a week for free to members, offering customers an easy way to research their choice of free eBook. It's with great pleasure we announce APEX Evangelists opens an office in the Netherlands too. In the last years we saw a big uptake of Oracle Application Express in the BeNeLux, so we thought it made sense to open up, next to our Belgium office, another office in the Netherlands too. Today we announce Roel Hartman will join us to run the Netherlands office. You will still see me in the Netherlands, but having Roel as a local representative will make it even easier for Dutch clients to get in touch with us. 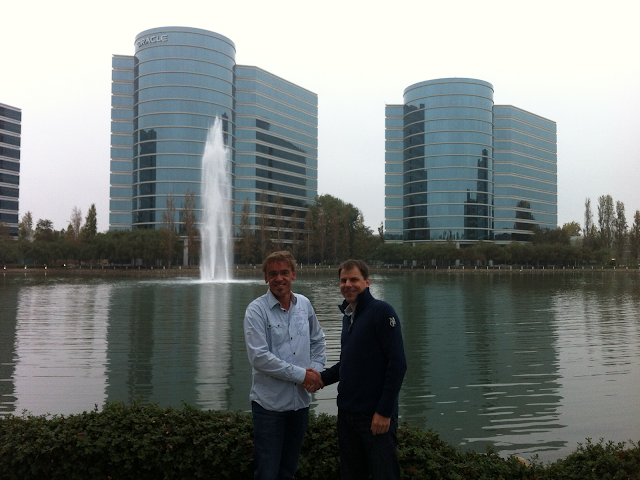 Roel is a great person with a lot of knowledge of APEX and Oracle in general. I really look forward working with Roel in the next months and years. Previously I blogged about the difference between APEX Listener 1.x and 2.0. A few days ago Oracle released a new Early Adopter (2) of APEX Listener 2.0. In some VM's I had issues configuring the APEX Listener 2.0 EA1, but this seems to have fixed in EA2, so definitely worth to upgrade to this new early adopter or when it didn't work before, to give it a new try. 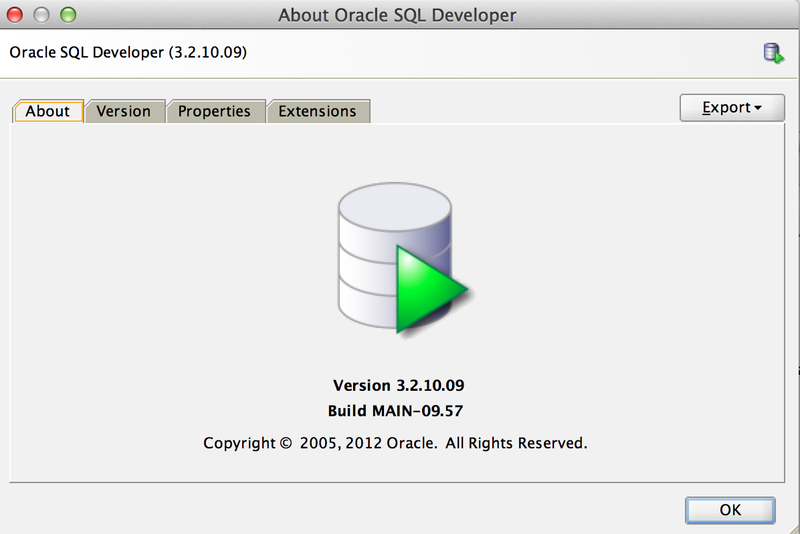 A few days ago Oracle released a new version of Oracle SQL Developer 3.2. The patch contains bug fixes and introduces some new features, but it also carries some behavioural changes. One caught me and I think many other people will hit the same issue. 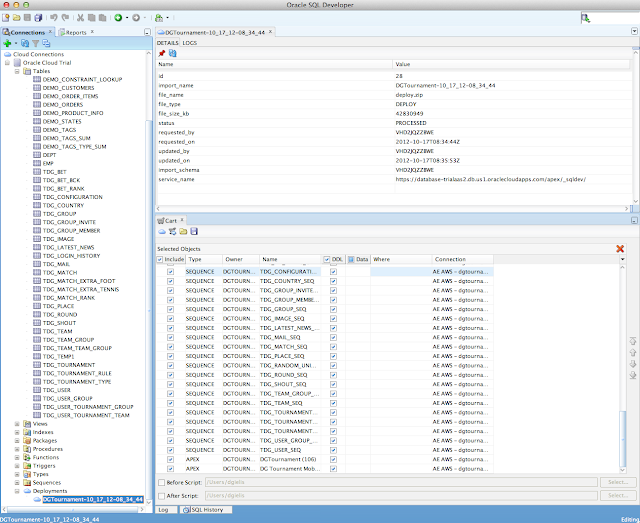 The connection names in SQL Developer can't contain spaces anymore as it could do before version 3.2.1. Your current connections which contain spaces will still work, but you can't save them anymore incase you wanted to make a change. Below is an example of the connection with and without space. You could keep the names as they are for now (with spaces), but the issue I found was that if you add a new connection the order is not correct anymore, as first you will see all underscores and only after the the (old) connections with spaces. Note that if you click on the connection and change it, and change the name at that time, it will create a new connection with the new name, that is why before I find it easier to just do a bulk rename of all my connection names. I would definitely upgrade to the latest version of SQL Developer as you get more features with every new release and development becomes faster and easier. For the 7th year in a row we'll have another APEX Meet-up at Oracle Open World. The last 6 years we hold this event in the 4th Street Bar & Deli (across the Moscone Center), but this year we will change location! Just like previous years, OTN (thanks Lillian!) agreed to sponsor again this year... but this year our event will be bigger than before! 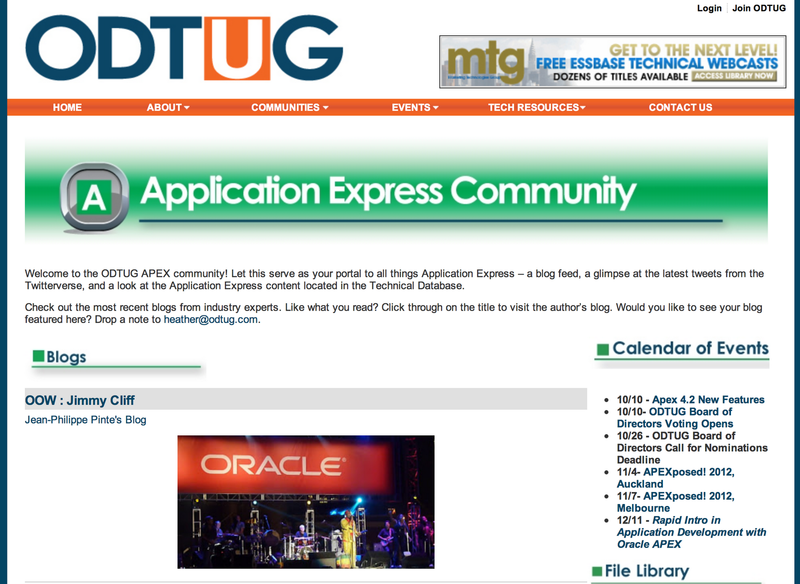 The APEX Meet-up will be a joint effort with the Blogger Meet-up, so you don't only have a chance to meet the APEX enthusiast, but also people blogging about other Oracle technologies (some closely related to APEX e.g. SQL, PL/SQL, database, ...). Oh... and there will be a special APEX corner at Jillian too where we give away some APEX books! 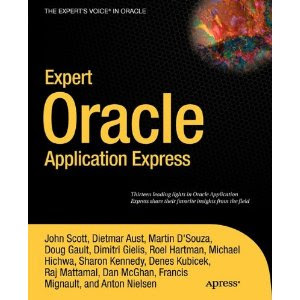 If you are just starting with Oracle Application Express (APEX) or you are already working with it for several years (or something in between! ), you are all free to join us. 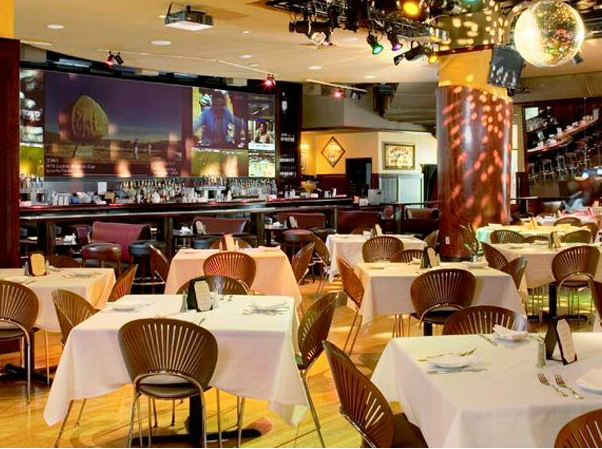 It gives you the opportunity to talk to each other and share ideas in a great atmosphere with some nice drinks. The APEX development team and many other known APEX experts will be present as well. So definitely not to miss! Here you find previous year pictures and info of the APEX Meet-up. Oracle released a new version of the SQL Developer products. The release of Data Modeler is more a bug fixes release. If you didn't use Data Modeler yet, it's worth to give it a try. You can visualise your ERD, model a new design or synchronise the model with the data dictionary and so much more. The last country inline of the LA OTN Tour (South leg) was Santiago, Chile. Although I will only spend a couple of hours in Santiago, I like it very much so far. Nice buildings, nature not to far and very friendly people. I won't visit anything, just try to relax a bit in the hotel before flying back home. I'm staying at The Aubrey hotel, very close to the Universidad San Sebastian where the CLOUG, LA OTN Tour was held. The hotel has only 15 rooms, but it's a very nice hotel with a very personal touch. I definitely want to come back here (when it's a bit warmer), not only for the friendly people of the hotel but also to discover more about Santiago and Chile. Back to the conference, I believe there were about 300 people registered. Here's a picture taken by Noel Portugal. As you can see a very nice auditorium we were in. Just like in Peru, the biggest part of the audience was new to Oracle Application Express (APEX). I gave three presentations; I started with an APEX overview, next I build an application from scratch based on what the audience asked me (and they challenged me more than in the other countries ;-)) and my last presentation was about the APEX Listener. Thanks CLOUG and the audience, I hope to come back once, hopefully many of you will develop with APEX then. Now I'm going to enjoy my last hours before taking off... I'll share my overall experience doing this LA OTN Tour once I'm back in Belgium. Adiós a mis amigos, muchas gracias.